Bing Crosby sang and danced his way into the hearts of millions and is known as one of the most influential entertainers of the 20th century. He had a little side interest that was pretty cool, too – he was a big fan of mobile homes and helped develop one of the most famous mobile home parks in America, the Blue Skies Village. The mobile homes in this park are amazing and there is an iconic vintage mobile home on every street. 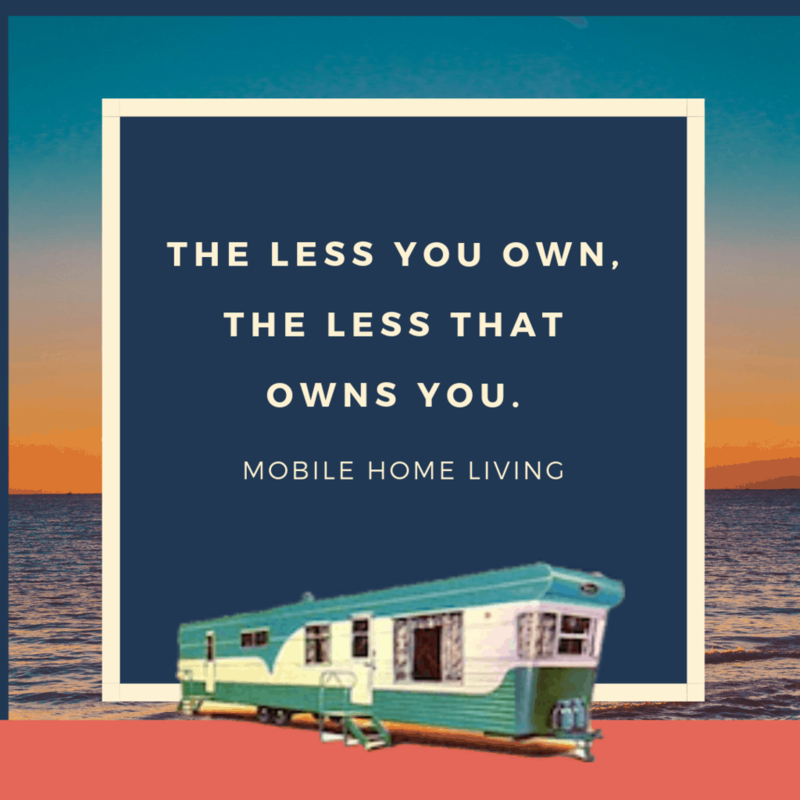 One of the reasons the Blue Skies Village remains such a beloved park is the fact that the homeowners own the land under the home – they don’t just own the home and rent the land like most other mobile home parks. It also has a very affordable HOA fee of $230 month. Please keep in mind, we aren’t realtors and we have no affiliation with any agents or real estate sites. We just like to find an iconic vintage mobile home like this and share it with you. Man, I wish I had $179,000! Related: Learn more about Blue Skies Village. 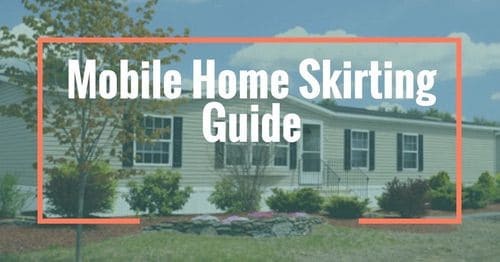 As soon as you walk into this iconic vintage mobile home you can just imagine one of those cool 60’s parties where everyone is wearing something super chic and holding their brandy glass just right. There is even a wet bar in the corner! The entrance leads into a sunroom/dining area that then flows into the main space of the mobile home. Kitchen and living room are all open which is great for entertaining and mingling. Love the ceiling in this addition. The bedrooms in this iconic vintage mobile home are small but extremely cool. Also, attention to detail throughout the bedrooms and bathrooms blend the theme throughout the entire mobile home. We especially love the built-in closet and drawers in the bedroom and the colors painted in the shower of the master bathroom. The built-in’s make a great use of space. Attention to detail in the guest bathroom. The colors blend into the master bedroom beautifully. See the cool paint job in the shower? Related: Love the Hollywood look? See our unique decorating ideas that are Hollywood inspired! 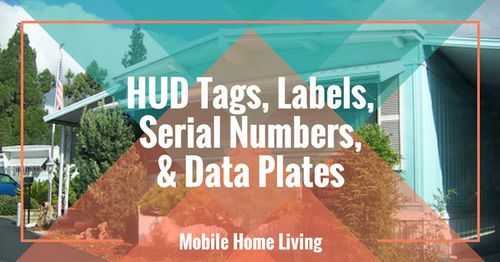 From the moment you pull up to this 1960 vintage mobile home you know it is something special. The exterior is surrounded by palm trees and the porch is wrapped in a cement block lattice that makes quite a statement. And the bright red door and trim are perfect! 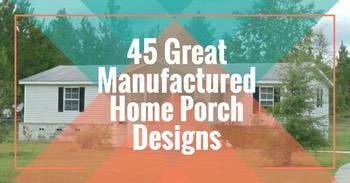 We’ve always said that the 1950’s and 1960’s were the mobile home’s golden age. 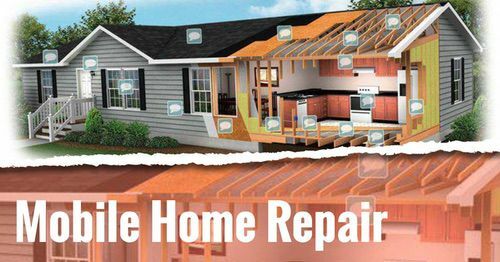 There were so many builders competing against each other and the first to have the coolest new feature sold the most homes. 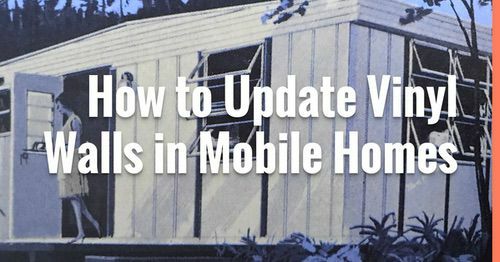 That’s why this iconic vintage mobile home is so awesome, the owners were careful to keep all the great features of older mobile homes while still updating the home for modern living. This iconic vintage mobile is a great example of modern retro cool. Here is a video I created a couple years ago. I’ve been a huge fan of Blue Skies and the Malibu’s Paradise Cove. 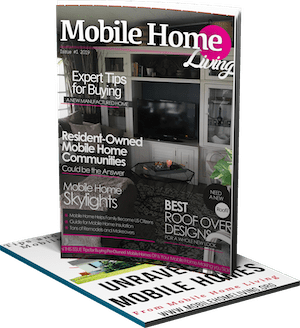 As always, thanks for reading Mobile Home Living. Somebody had a lot of fun producing that video–and I had fun watching it. Well done! Thank you! I did have a little fun – I’ve always loved graphics!